After visiting Church of St John Maddermarket, you may have a meal at this cafe. Here, you can find the recipes and ingredients of the Jewish cuisine. 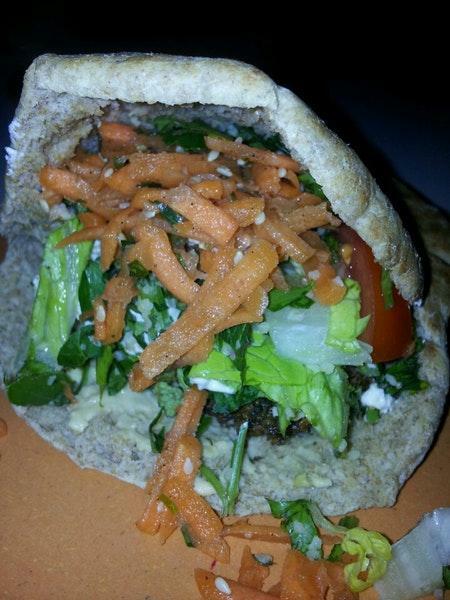 Eating nicely cooked vegan falafel, falafel salads and falafel wrap is what many guests advise. Being at Moorish Falafel Bar, try good baklava and tasty yogurt. A selection of delicious mint lemonade, coffee or mint tea is offered to visitors. It's easy to find this place due to the convenient location. The well-trained staff meets you at this spot all year round. People say that the service is fabulous here. Also, clients recommend this cafe because of reasonable prices. The peaceful atmosphere is to be found here. 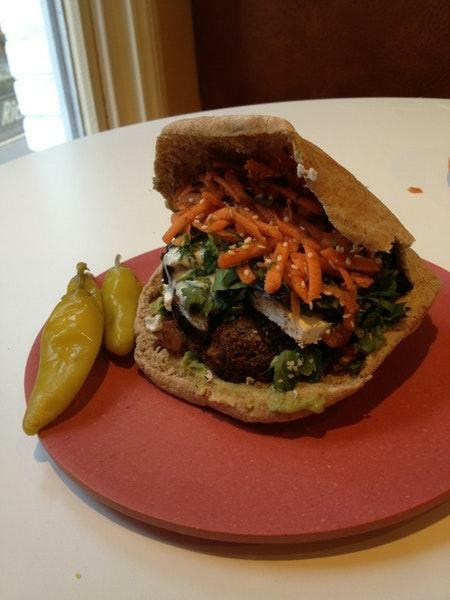 On TripAdvisor, clients point out that Moorish Falafel Bar is worth the 4.5 star rating. Delicious vegan and vegetarian food, good prices, great service and decor.